Hello everyone! 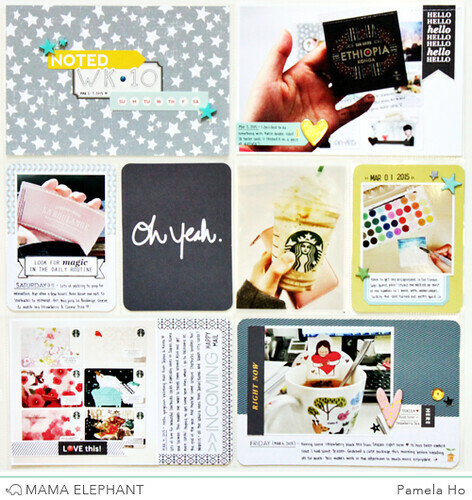 It's Pamela here with a project for Mama Elephant using the stamp set Magic Moments. 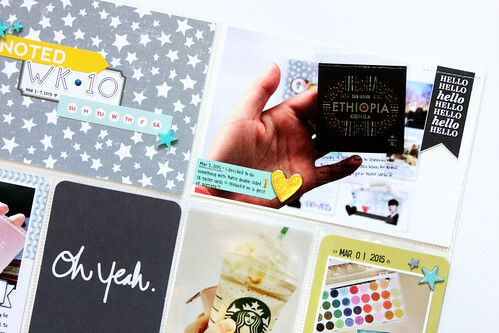 This stamp set is perfect for card making, scrapbooking and project life documentation. I decided to use the fun sentiments to dress up my project life spread. I stamped the "hello" banner on a piece of white cardstock and cut out the banner by hand. I stitched the banner in place on one of my photos. 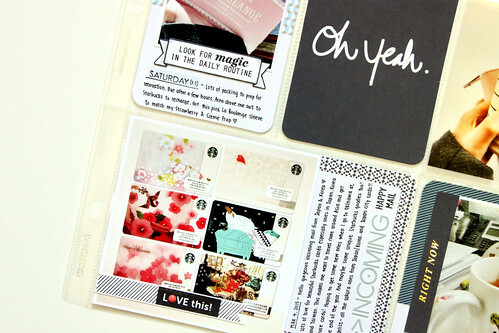 Hello gorgeous Starbucks taster card! I used this "love this" stamp set and stamped it on another piece of white cardstock and cut it out by hand. I thought this sentiment was perfect for these beautiful Starbucks cards that I received in the mail! 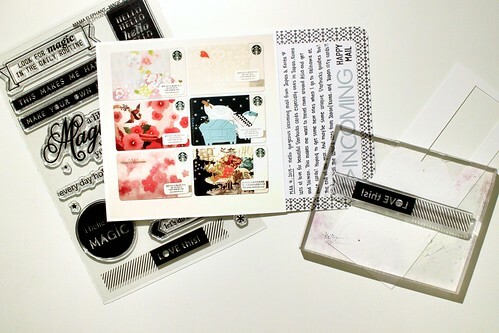 I also used the banner for the pretty sleeve from Starbucks :) I love that sentiment of finding magic in our daily lives. 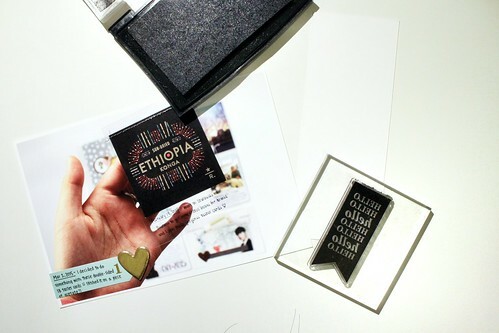 Here's my complete spread with the magical sentiments from Mama Elephant to document my week using Project Life.